Destroy all enemy creatures with 2 power or less in a lane. 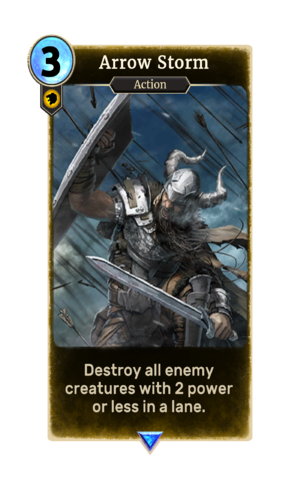 Arrow Storm is a rare Willpower action card. It is part of the Core Set.